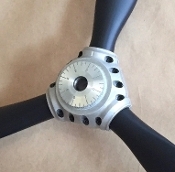 Solo Props blades, hubs, spinners, and prop mounting kits are all sold separate. For a complete prop you will need to choose each. 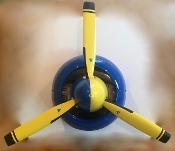 If the prop you need used a large dome spinner (EX: P-51 Mustang) we carry Tru-Turn spinners in various sizes that are cut for our props. 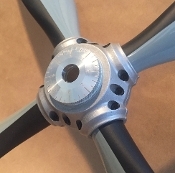 If the prop used a hub spinner (EX: Corsair) we carry those that are designed to fit the Solo Props hubs. Replacement parts and various tools are listed below as well. 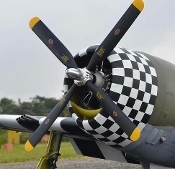 If you need help in choosing all the parts for a complete prop and sizing the prop for your engine application, send us a "Estimate" Request and we will put one together for you with in 48 hrs. Thank you!